A shield for a Wemos D1 Mini ESP8266 dev board that can create a WiFi alarm clock. It has a 7 segment display, two buttons and a buzzer. Please note: The base package for this board does not contain an Wemos D1 Mini which is required for the device to function. They can be bought from eBay or Aliexpress for around $3 delivered. Because I think a WiFi alarm clock is actually pretty useful, no need to set the time, it automatically does that for you. Also no figuring out how to set the thing, just use the built in web interface! 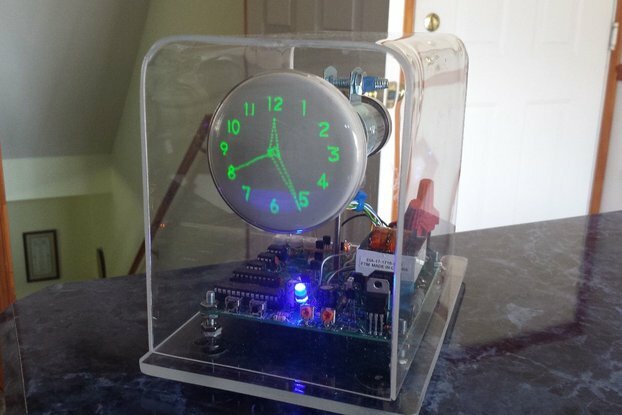 It's very possible to recreate this clock using individual modules, but I thought a single PCB would be a lot neater. 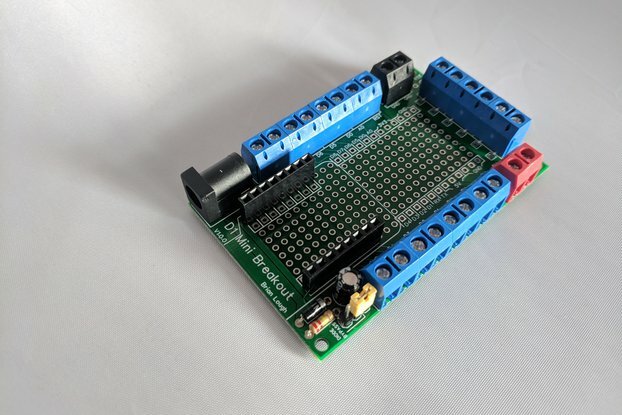 It is an excellent, practical example of what you can do with an ESP8266. It is also extremely flexible to be extended e.g: Want to add Neopixels to your morning alarm, great, just program the Wemos D1 Mini like you would any other Arduino board to change how it works. Or maybe even re-purpose it completely by turning it into a YouTube Subscriber count that beeps when you reach certain milestones. Easy-Medium: There is SMD soldering here, but it's all 0806 sized components and are pretty spread out. This is actually a good board for getting started with SMD. My first ever bit of SMD soldering was the first rev of this board and it went fine. Ground can be a little tricky to solder too, due to the large ground plane. Can the Alarm clock do X,Y or Z? Maybe! Basically it can do anything an ESP8266 can do. 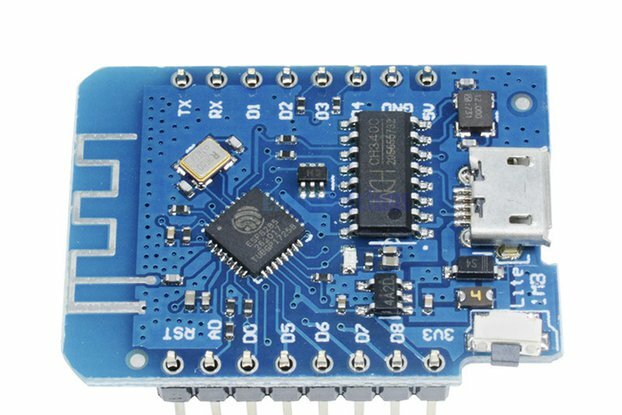 Why use a Wemos D1 Mini rather than a ESP12F module? Because it makes the board simpler to assemble and cheaper. ESP12F modules are roughly $2.20 delivered, Wemos D1 minis can be bought for as little as $2.70. 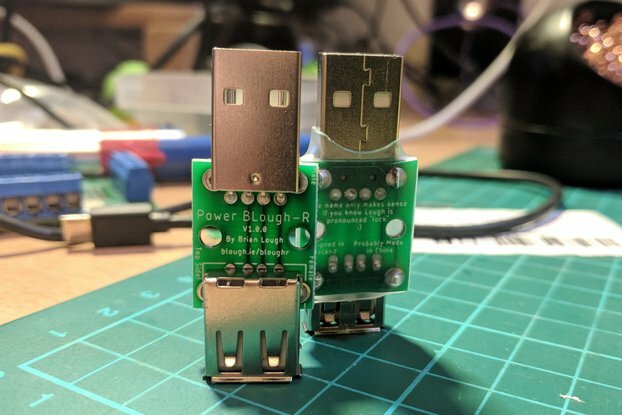 but that extra 50c gets you a micro USB port (which nobody likes soldering), a USB to serial adapter (so can be programmed directly from the USB) and a 3.3v regulator. I've heard some newer Wemos D1 Mini's have weak 3.3v regulator, does this effect the clock? No, Rev 3 (the current version) drives the display from the 5V line so once the regulator is strong enough to power the ESP8266 itself there should be no issues using it with this board. Is there a case or enclosure that I can print? Not at the moment, 3d design is not my strong suit! If you make one and want to share I would love to update the listing with a link to it! Brian was great at pre-sale communication. He answered all my questions promptly and was very thorough. I really like the clock. 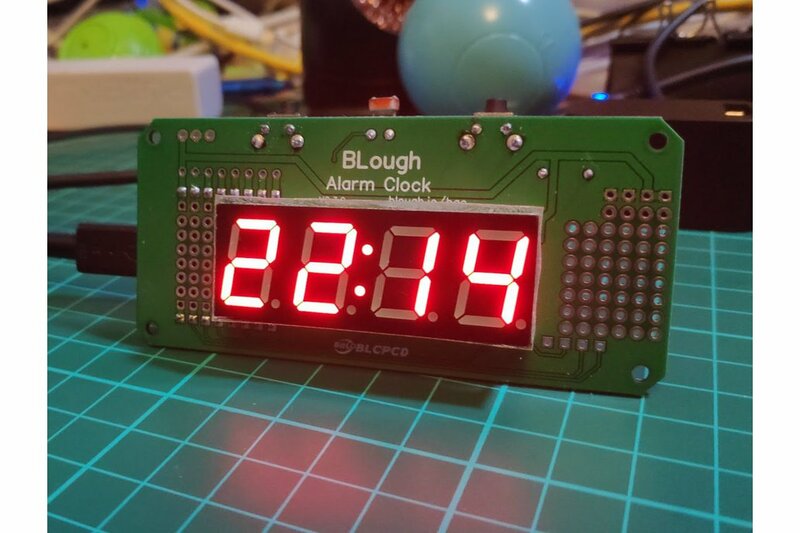 I used it as the basis for creating an alarm clock for my wife for Christmas. There are a few things that you should be aware of though. First, the documentation is not as complete as it could be. I had to figure out a few things on the hardware assembly (like the instructions are color coded to the sharpie marks on the component packages). Documentation on the software side is also a bit lacking (where to get libraries, etc.). Also, the software, as provided, doesn't work. There are bugs in the alarm code, and other places that I had to fix. That wasn't a big deal for me because I was planning to write my own software anyway. I just used Brian's code as a template / starting point. From a hardware design perspective, it would be nice if you could lower the intensity of the LED display a bit more. Maybe use a PWM pin for additional brightness control beyond what is provided by the display controller. Volume control on the speaker would be nice as well. 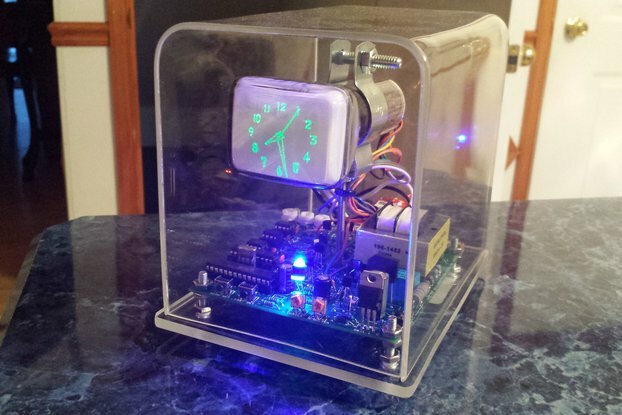 I also ended up designing a 3D printed case for the clock. It would be nice if one were provided. I'll post mine on thingiverse for those who are interested.